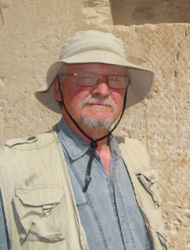 Harco Willems, who has been professor of Egyptology at the Catholic University of Leuven in Belgium since 1996, published his first groundbreaking study of burial sites and funeral rites in Ancient Egypt in 1988. Since then, he has established himself as a prominent Egyptologist who looks beyond the boundaries of humanistic theories and issues to enrich his discipline with important new methods and findings. Due to the original nature of his ideas and his multifaceted approaches, he is one of the few Egyptologists who have achieved outstanding research results in both philology and archeology.